Welcome to the new and reopened TheBookOfShadows.net! 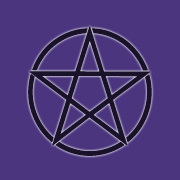 Your online pagan resource and social network! TheBookOfShadows.net is a all free pagan non-commercial networking and witchcraft social site for all your needs. We offer several different ways for all pagans and witches to contribute and communicate to and with their communities. We offer tools and channels for everyone to share their experience and knowledge between each other. We are community driven and shapen networking site and will adapt to community needs. Ideas, innovations and questions of a kind? To the discussion forum Batman! Share your ideas with us! IF you want to contribute your experience, articles and thoughts, even poems with us, share them in our article section. We need your input to make this site as good as we can for you all pagans and witches! > You can also Join our community now! What is new after reopening? New administrators. We have now new and inspirated administrators! New software: We have moved into new more working and better content management system. Renewed articles: We have refurnished, fixed, tuner and corrected much of the old site’s material after moving them here and continue to improve them! New features: All users, both registered and unregistered users can contribute new articles and improve the old ones! Supportive point system – All contributions are rewarded! New articles: We have bunch of new articles written by experienced and professional witches. Better forums and discussion areas. Support for good intersite linking and tags for more easier content searching. We continue to upgrade and improve our site and welcome all contributions and improvements to our site!